I love Börek. This Turkish dish is simply delicious; I have never had a bad börek. 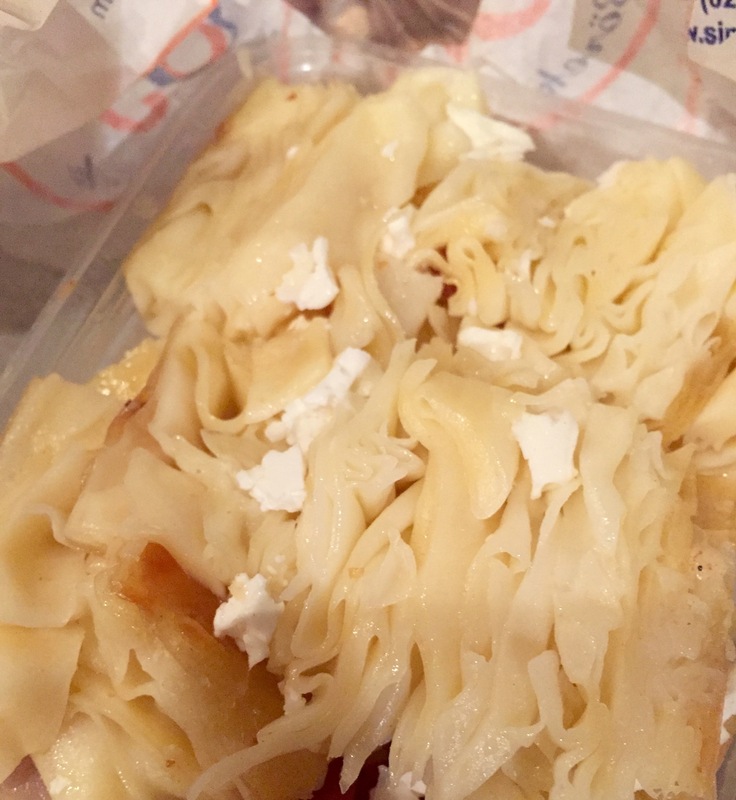 Essentially, it is phyllo (noodle layers) filled with cheese, spinach, or minced meat. The cheese (peynir) is my favorite, but all will do in a crunch. 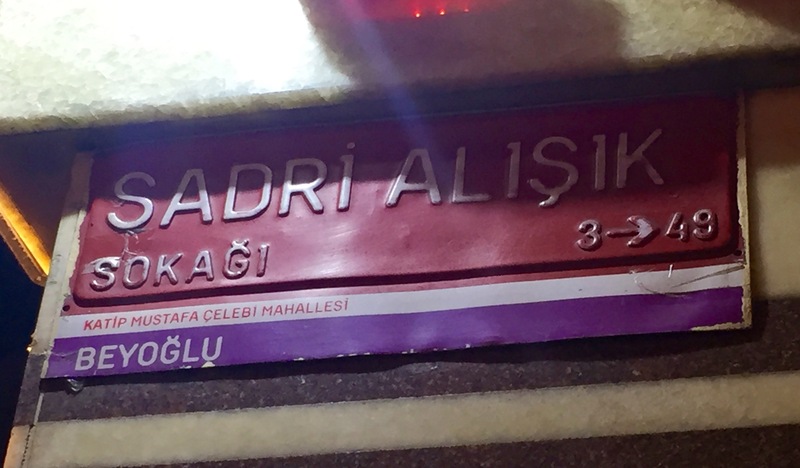 My friend Pia recently took me to Sinem Börek located on ‘Sadri Alışık Sokak’, right off İstiklal Caddesi. If you are like me, finding a place to eat when traveling can at times be stressful. 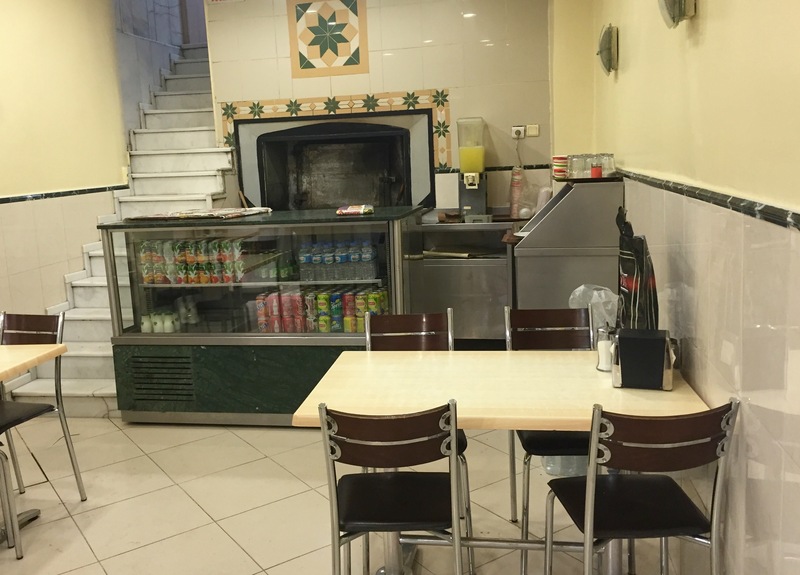 Places are unfamiliar and knowing if it is safe to eat can be a gamble. Whether you live here or are just visiting, this place is worth your time. 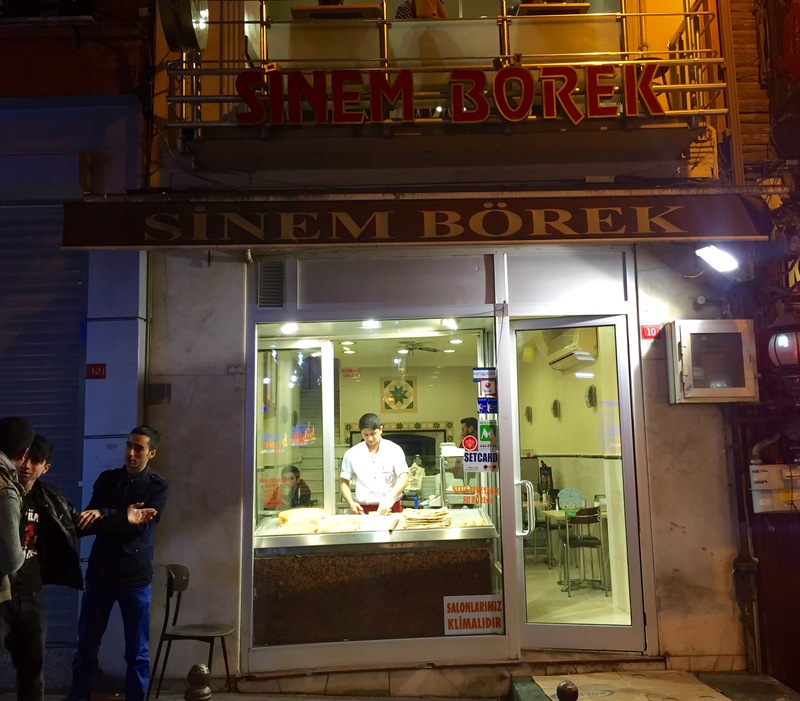 Sinem Börek does not look like much from the front and I apologize that these photos are at night, but don’t let this fool you. When you go in, the people that work there are helpful and very nice. 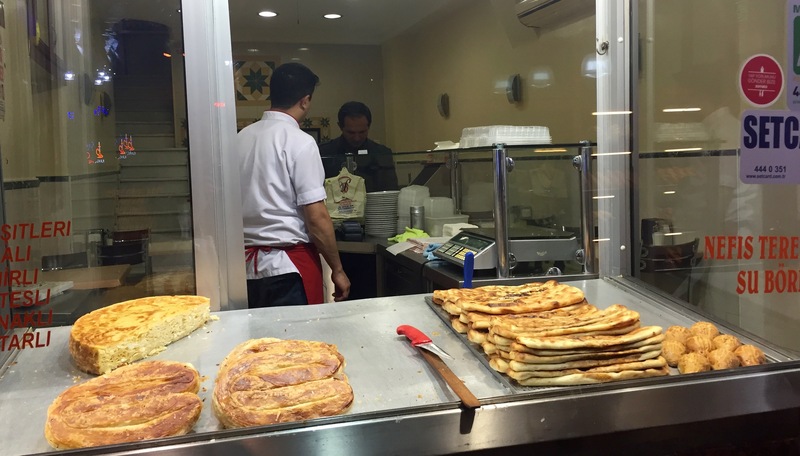 Order the peynir börek (one portion will fill you up) for about and a soft drink for a little under 8TL. Relax and enjoy. Oh! 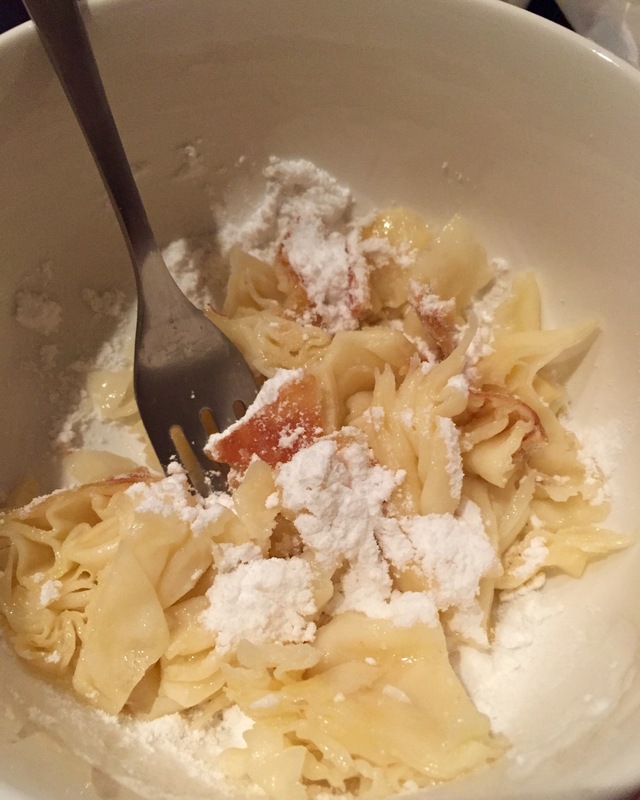 Don’t forget to ask for some powdered sugar (pudra şekeri) to put on top – just adds another layer of awesome. Yum! And the video is informative plus it gives me a feel for the neighborhood and its energy. Thanks :).